An update to show you some new stuff! Hey there everybody! We hope you’re having a great start to the week on this very fine Monday! 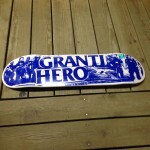 This week we’ve got a great update for ya, with plenty of cool stuff to check out,including some of the latest arrivals from Volcom, Lost, Fox girls, Roxy, and more! So, if you want to know what’s happenin‘, and what’s not crappenin‘, then kick it on over to Surf Zone! 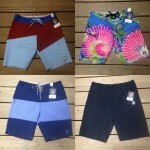 We just got in some great new Volcom boardshorts. The top two are boardshorts and the bottom two are hybrid shorts, which are basically shorts made with boardshort materials, making for great, light weight, fast drying shorts that are a must have for tropical climates and those hot summer days that are just around the corner. 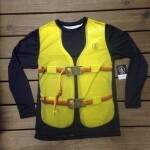 This Volcom PFD Thrashguard won’t save your life, but it looks pretty damn cool! 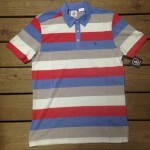 It goes great with all the new Volcom boardshorts that have just arrived as well! 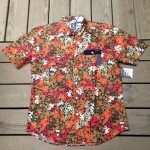 It’s always fun to have a printed shirt such as this one from Volcom to brighten up your wardrobe as well as your life! 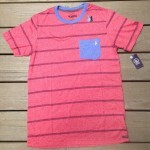 This here Volcom shirt with a pocket and stripes could be a great way to add some variety to your t-shirt arsenal. 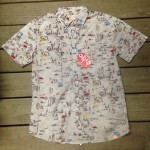 Right here we have a great printed shirt from lost. 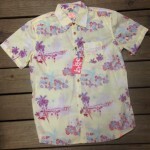 Here’s another nice shirt from lost. Get some polka dot prints with this top and shorts combo from Fox! 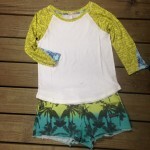 This Billabong shirt and Volcom shorts with a palm tree print make a terrific pair! 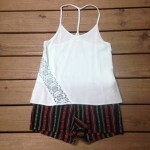 Keep things nice and breezy with this shorts and top combo from Volcom! 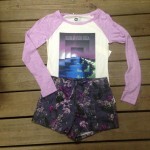 This Roxy shirt and Fox shorts bring together shades of purple to make a spectacular outfit! 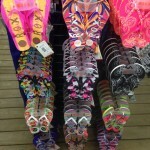 Whatever outfit you get, we’ve got plenty of all new Roxy sandals to go with it! The particle accelerator is the newest model from summer jet! 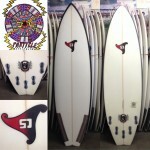 It’s an ultra fast small wave board with a low rocker and a wing swallow tail!